Maximum Performance, Minimal Effort: Automatically clean and improve your PC in minutes! Our product family helps you easily maintain, secure, and speed up your PC. Our solutions can help you recover data and photos, fix errors, remove unwanted programs, and help you find missing drivers. 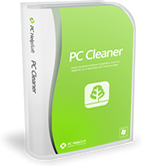 The perfect remedy for a slow computer or frequent crashes, our PC Cleaner software is a handy utility that finds and cleans out unnecessary clutter — file fragments, temporary files, and browser cookies — leaving your PC spotless. PC Cleaner manages your system’s resources to give you better startup times, improved performance, and a safer online and offline experience. PC HelpSoft Driver Updater is a driver update software and peripheral management utility that makes adding, removing, and maintaining your computer’s internal and external peripherals a breeze. 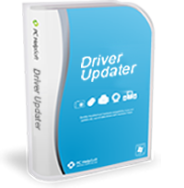 Driver Updater’s device identification engine and patented Smart Update™ Software Locator ensures that your devices have the latest drivers and are functioning at optimal efficiency. Have you ever felt as though “tossing it out the window” would be the best thing to do with your computer after a particularly hard day where nothing seems to function properly? We at PC HelpSoft aim to clear up your computer problems with our lineup of PC utility software and recovery products. Our software is designed for users of any computer knowledge level so if you’re facing problems such as a slow PC, inadvertent deletion, or hardware installation issues, you’re in the right place. PC HelpSoft was established as a PC utilities software company that works with top software developers to bring you a world of computer Zen—a place of peace from undesirable errors, online security problems and data loss. For years, PC HelpSoft has helped users optimize and ensure the safety and efficiency of their computers through its suite of innovative driver update, data recovery, and PC cleaning software. If you use a computer, whether it is a desktop or laptop, you have probably experienced problems that range from slow performing devices and peripherals that require troubleshooting to accidental deleted data, files and images. PC HelpSoft offers a wide range of utilities that empower new and experienced users with cutting edge software in the areas of hardware installation, PC maintenance, data recovery, disk optimization and system monitoring.